Ed was one of Europe's top Chefs for almost a full decade , until he made the fateful mistake of writing a tell-all cook book . Ed didn't just give away trade secrets of the culinary experts of the United Kingdom & France & Italy , Spain & the many surrounding countries , but he also spilled the beans about 'whom was sleeping with whom' . Almost overnight , Palace Chef after Palace Chef was fired ... or much worse ! "Ya , I got a little carried away with that dumb book" , Ed remarks , "it was my damn Editor hounding me for more and more information . Hugo wanted to finally publish a top selling effort and was pushing for mine to be the one" . Well , it was of course . Ed's 'Cookbook' sold millions of copies in 12 different languages . It went into reprint after reprint , setting a world-wide record for this type of an effort . Unfortunately , the millions he made went straight to his lawyers for all the civil litigations he soon faced , "by the dozen" , says Ed , "Thank god Martha finally got nailed and went to prison . That kind'a took the heat off me for a while" . Ed escaped safely , by the skin of his teeth , located in Welland , met a nice girl and settled down . 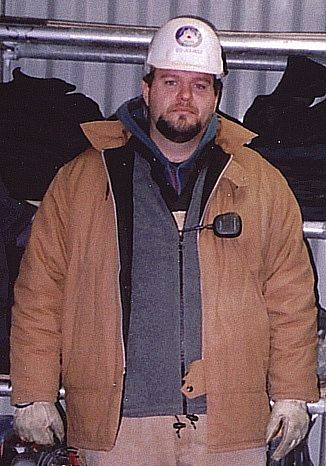 "Got an apprenticeship as a Millwright and I have enjoyed the peace and quiet and total lack of notoriety" . What about the future Ed ? "Well , I still dream of owning my own restaurant some day . Maybe after I retire I'll open a nice little Bistro in the Falls". Good for you Ed , and I'll bet the Chateaubriand will be one of the best in the world .